You already know your college dorm bed isn't all that comfortable, your dorm walls are bland, and your dorm floor is made of a cold, hard linoleum that detracts from your dorm room decor. When you add dorm essentials to your college dorm checklist, you add dorm necessities that will completely transform these areas to make your college dorm room comfortable and look amazing. You may be so focused on these dorm necessities that you forget about other areas of your college dorm room that need extra help. One of the main areas is your electrical outlets. Simply put, there won't be enough and then you have to also share those electrical outlets with your college dorm roommate. As you add dorm essentials that you can't be without to your college supplies checklist, make sure you include our Surge Pro 2 Outlet Surge Adapter With 2 USB. Our Surge Pro 2 Outlet Surge Adapter With 2 USB turns one outlet into two outlets, allowing you to maximize your electrical outlets. 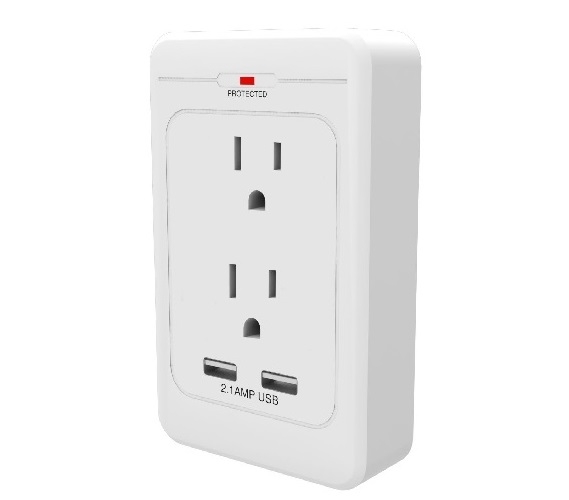 To further maximize your electrical outlets, this dorm supplies item has two USB ports to charge your tablet or smartphone and not use up a valuable electrical outlet. You may have been worried about adding surge protectors and outlet multipliers to your college dorm room even though you can't go to college without them because you didn't want them to detract from your college dorm room decor. 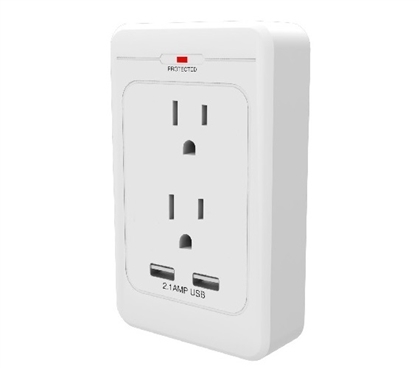 With our Surge Pro 2 Outlet Surge Adapter With 2 USB, you don't have to worry about your surge protector detracting from your dorm room decorations. With a slim, space saving design, this dorm necessities item won't get in the way or be an eyesore in your college dorm room.